A campaign to save the famed Onaqui wild horses of Utah’s West Desert. We are committed to implementing real solutions to keep this cherished herd wild. The Onaqui wild horses are a national treasure that deserve to live on our public lands. The BLM’s plan to roundup and remove the Onaqui wild horses is optional. There is a better way to management this herd that is in line with what 80% of Americans want. The Onaqui wild horse herd is arguably one of the most cherished and visited herds in the West. Show your support for keeping them wild by visiting our online store. 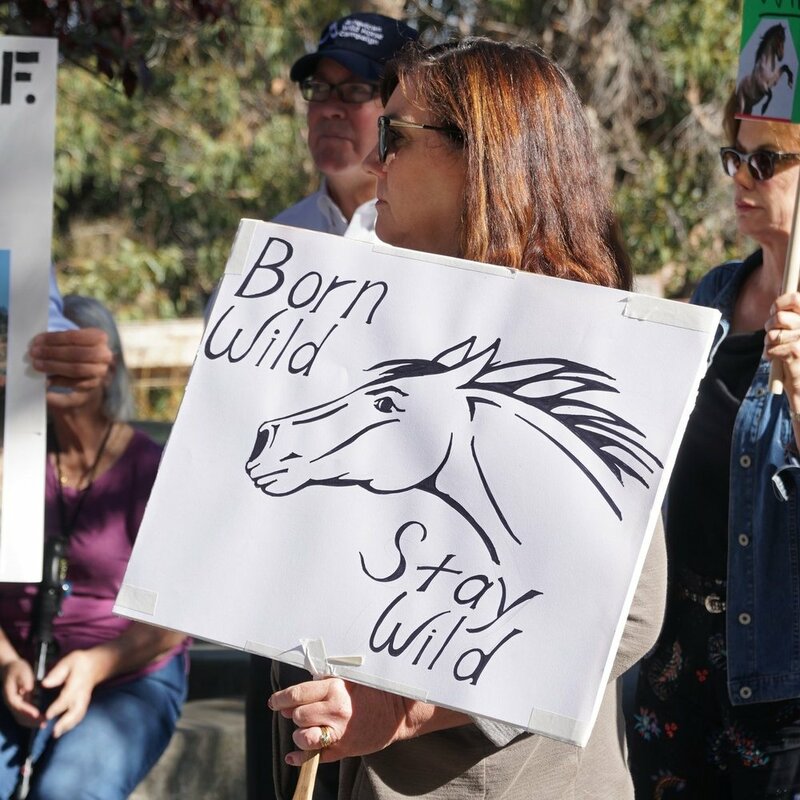 Join AWHC and the Salt River Wild Horse Management Group on April 5 for a rally at the BLM Utah State office to urge the agency to stop the planned roundup and work with advocates to implement a comprehensive fertility control program instead!